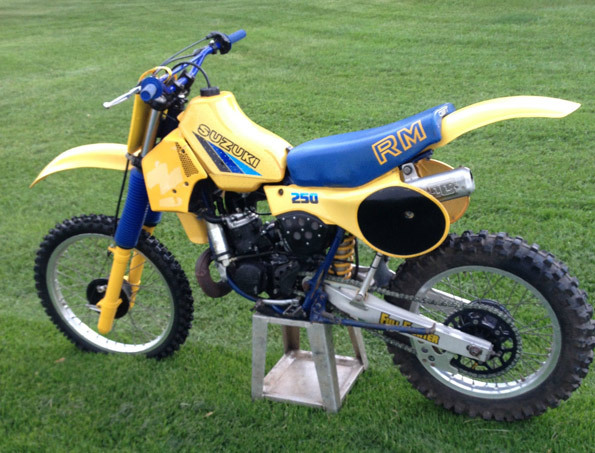 2nd owner Suzuki 1983 RM250. Suspension rebuilt front and rear, new Pro-X Chain and sprockets, new front tire and rear tire is 80%. New brake shoes front and rear along with new cables. The cylinder is .025 over ported and polished with the favored head off the ’82 RM250 and fresh piston and ring. The stock pipe does not have any dents or major dings and come with a DG silencer.